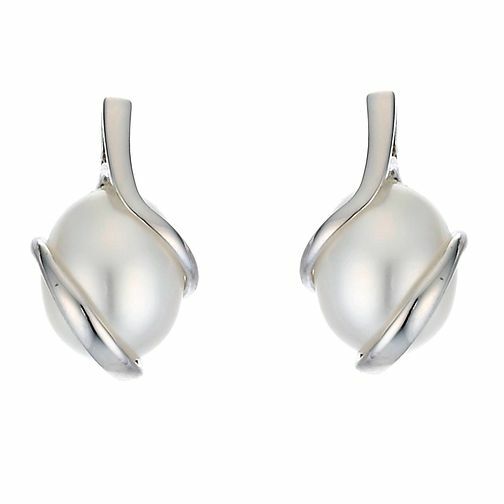 An elegant pair of cultured freshwater pearl earrings wrapped in 9ct white gold. A classic accessory for any occasion. 9ct White Gold Cultured Freshwater Pearl Earrings is rated 4.7 out of 5 by 7. Rated 5 out of 5 by Anonymous from Pearls with a difference These were a surprise for my Mother in Laws 60th Birthday and they were perfect. So delicate and elegant. We wanted pearls with a difference and these are exactly that. She loved them.